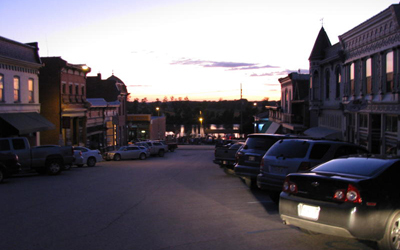 Fayette, the seat of Howard County, is a thriving small town gem set amidst rolling farmland. It is served by State Highways 5, 124 and 240, about 13 miles to Boonville and 26 miles to Columbia. A small college town, home to Central Methodist University, it has lots of life and always a busyness about it. It retains the privacy of small-town America, but relishes the conveniences of Columbia only 30 minutes away. We invite you to contact United Country Missouri River Realty, of Fayette Missouri & Glasgow Missouri. We can save you time and money in locating Real Estate throughout Howard, Chariton, Randolph, Boone and Cooper Counties and surrounding areas in Northern Missouri. We offer a fine selection of homes for sale, farms and ranches, recreational land and businesses for sale.